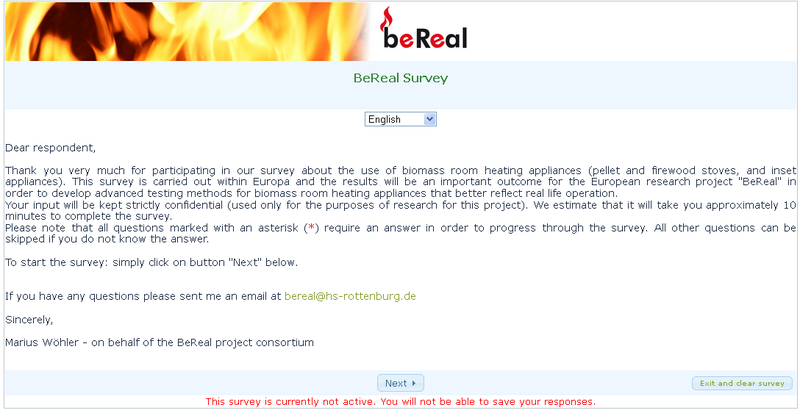 An online questionnaire was elaborated for collecting information to assess the "usual practice" of typical stove operators in all partner countries. The web based questionnaire is now being transferred into different languages (English, German, Danish, French, Italian, Swedish and Dutch). The questionnaire shall provide practice data for meaningful definitions of the stove test methods which shall be drafted in the coming months. Click on the image below to go to the questionnaire webpage.